Now Leasing studio, 1 and 2 bedroom residences. Classic New York. Modern Style. Renoir House offers luxury living in one of Manhattan's most iconic neighborhoods. Few can pass up a good art show, and if you call the apartments for rent in Manhattan your home home, it’s time for you to start prepping for one of the world’s best: the ArtExpo New York, taking place April 4th to April 7th at Pier 90. It’s a big deal, for sure, but simply calling it the “world’s largest fine art trade show for decades running” doesn’t quite do this event justice. Today, we’re going to delve into the finer points of what the ArtExpo is all about, and get you the lowdown on what you need to know heading in. So, you might be wondering what that all entails, specifically. Let’s break it down, shall we? Part and parcel of ArtExpo are the artists. ArtExpo brings together more than 300 hundred artists, galleries, and publishers from the world over to showcase their stuff. That “stuff,” by the way, includes paintings, prints, drawings, sculpture, photographs, ceramics, and much more. The ArtExpo routinely draws in more than 35,000 art lovers each year, each hoping to peruse, and perhaps purchase, some of the impressive selection that’s on display. And it’s more than just fine art that these attendees come for; the ArtExpo also features a number of art/marketing-related seminars, receptions, parties, performances, demonstrations, and other events to satisfy the masses. This year marks the 41st for ArtExpo, and in celebration of so many years of excellence in the arts, they’re rolling out a brand new curatorial theme — Transform — meant to examine “the power of art, how it challenges the status quo, changes our perceptions, and pushes us to see ourselves and others from a new perspective.” There are also features two shows you’ll want to watch for while you’re there: Solo, and Foto Solo. The first, Solo, is meant to highlight both established and emerging independent artists and their works, bringing broader exposures to these masters of the craft. The latter, Foto Solo, is all about the photographers, and shows off the true creative brilliance of abstract, contemporary, and realist pros. You can learn more about the shows here, but know that there are plenty more events going on during ArtExpo for you to enjoy. ArtExpo even has a featured publisher coming back into the fray for another year. Deljou Art Group, the nation’s largest art publishing group, will be highlighting their stable of more than 50 global artists — a pure treat for any true art aficionados. There will be plenty more exhibitors of course, like Sammoun Fine Art, Art Link International, and many others, so again, this exhibition is one that you shouldn’t miss out on. There are also ticket combos and special rates for students and seniors you can take advantage of, so be sure to check out all the information over on the ArtExpo’s attendance page to learn more. 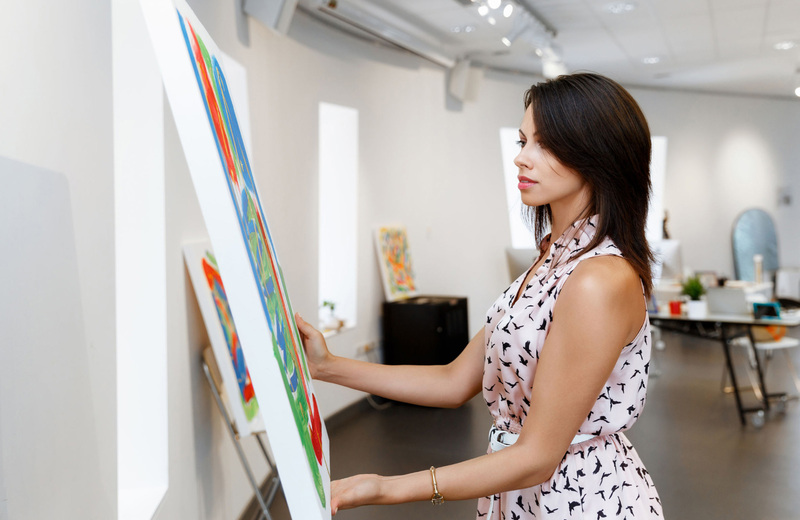 Remember, the ArtExpo isn’t just the largest art show you’ll find in New York, it’s the largest in the world, and if you’re a lover of any and all forms of visual expression, this is one event you’ll have to see for yourself. The ArtExpo is going to be amazing, but it’s not the only fun event going on around town, not by a longshot. When you’re a resident at places like Renoir House, you’ll find that the best that Manhattan has to offer is usually just a stone’s throw away, and there’s plenty to enjoy on a daily basis. No matter what your fancy might be, there’s something around the island to fulfill it, and this stellar community gives you a great spot to call home while you do so. Come experience a higher level of luxury; find out what Renoir House has to offer, and prepare for a city experience like no other. Beautifully appointed residences. A legendary location. A perfect picture of luxury living. © All rights reserved 2018 Renoir House.